I’m taking advantage of the beautiful late summer weather and some vacation time to do work on some of the projects around the homestead. 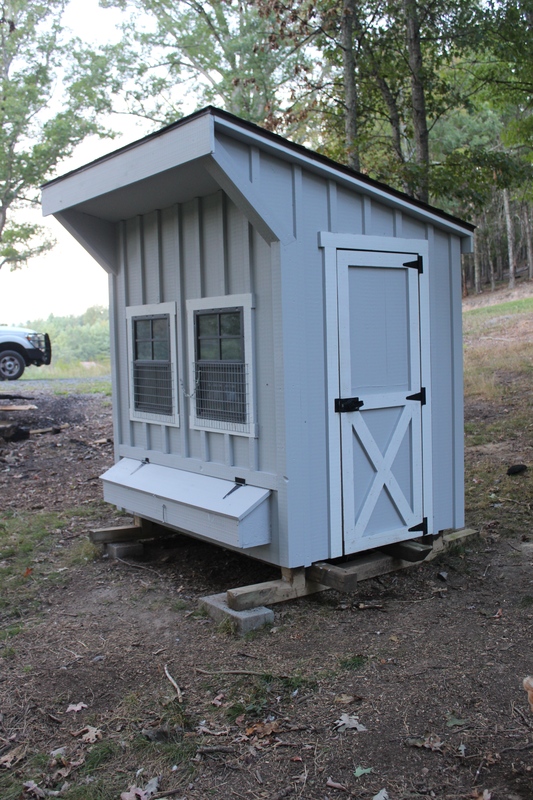 The goat shed is just a few screws shy of being done with our goal being to finish it this weekend. I’m so excited to head into winter with a finished barn. We’ve decided to hold off until spring with our large fence project and instead, we are going to add some temporary fence around the shed to connect that area with our goat pin. Since many of our building projects come to a halt during winter, we thought we would take advantage of the season to properly finish clearing the lot. 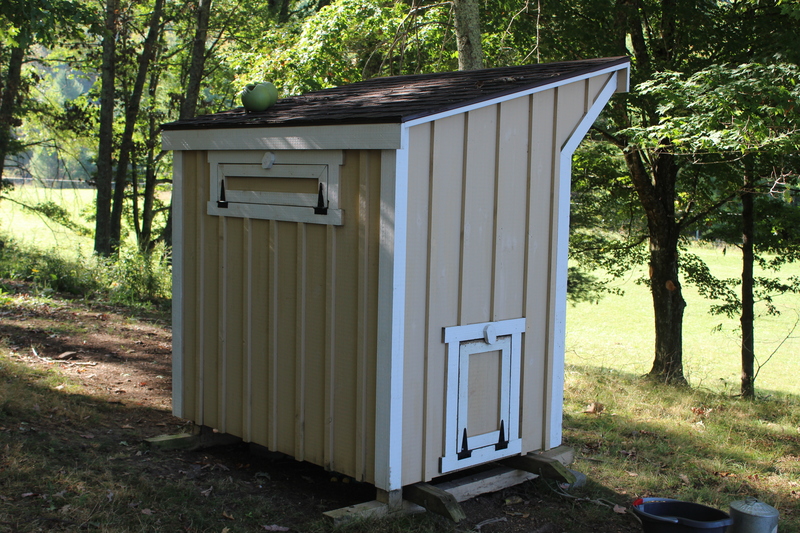 While we were at it, we decided to give the chicken coop we bought used last summer a sprucing up. 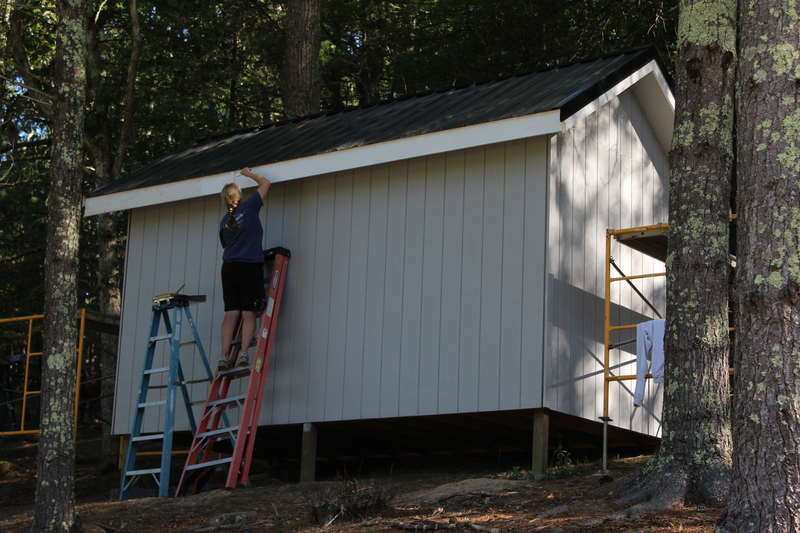 We painted it to match the goat shed and we are going to use some left over metal from the goat shed on the roof. It looks like a brand new coop. Buy the way, all that finishing took FOREVER to paint.